FOSS4G 2010 was a great event and the people of Georepublic spent a pleasant time in Barcelona. We stayed in an apartment in downtown Barcelona close to Plaça Catalunya and enjoyed the conference as well as the evening program. The brand-new pgRouting workshop had a large audience and it was a pleasure to present this year with Frederic Junod from Camptocamp. Thanks a lot to the organizers of the workshop days, especially to Oscar Fonts, who did a really great job! The workshop is now available on the OSGeo LiveDVD as well as an easy to install package for Ubuntu users. Just add the Georepublic Launchpad Repository and you will automatically retrieve the latest updates. The pgRouting presentation room was packed with people and if you have missed the presentation or couldn't watch the slides, then take a look at the previous post. Great news for the pgRouting community! At the "Code Sprint" day the PostGIS team met and talked about the future of PostGIS. If the PostGIS and pgRouting PSC agree, then pgRouting will become part of PostGIS. We saw many presentations mentioning pgRouting, a couple of posters in the poster session presented projects with pgRouting. We're happy to see that such a small project is useful for many people around the world and attracts so much attention. Also at the code sprint day a group of Germans and Japanese (photo) started with localization of the OSGeo LiveDVD. Even if we just had a few hours of work, it was a perfect start and we could set the base for supporting multiple languages for future releases. Thank you to everyone who helped to get this started! Georepublic was glad to be able to present "OpenVRP" in the poster session. Despite the project is in the very beginning, we could gather many new ideas through discussions with the FOSS4G community. We hope to be able to present you more in the near future. Stay tuned! 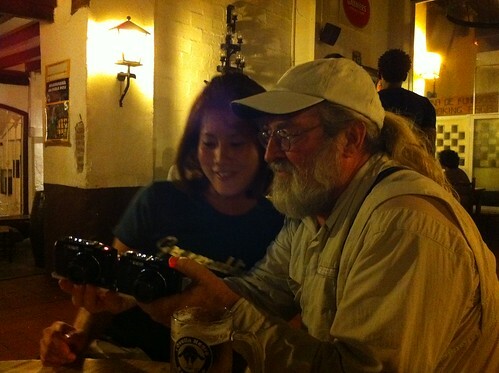 Georepublic enjoyed to see again many "old" friends and meet many new people for the first time. The parties after the conference were fun as every year. 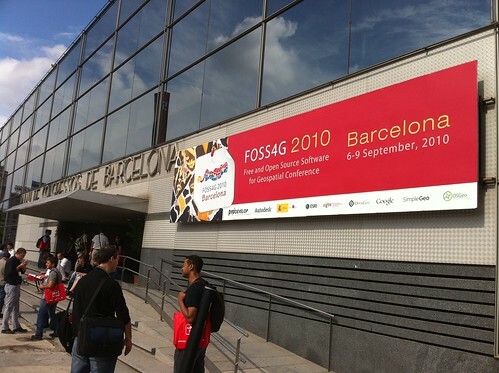 FOSS4G conferences are always a great event and a highlight of the year! We're looking forward very much to the next FOSS4G conference in Denver. See you again in 2011!